This week I took a scenic boat ride along part of the Intercoastal Waterway and saw many very expensive houses and mansions. 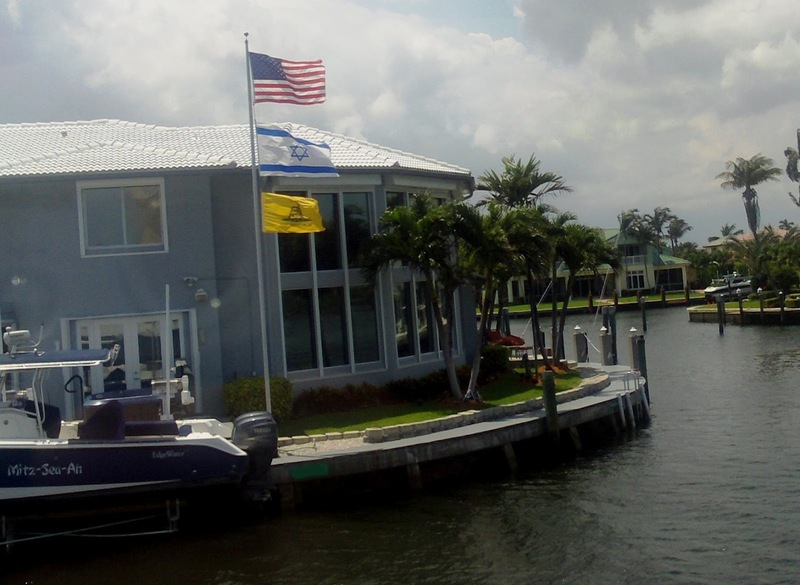 Besides the prominent Israeli flag, the boat moored at the house is named “Mitz-Sea-Ah,” in Chinese-style lettering. Even with this person’s unseemly love of bad puns, it is clear that the owner of this house is an Elder in good standing. Don’t forget that you have a chance to stumble onto not just any Elder on May 21st in New York City.